Wearing out a salmon at the mouth of River Tsulloveijoki in the upper reaches of River Teno. 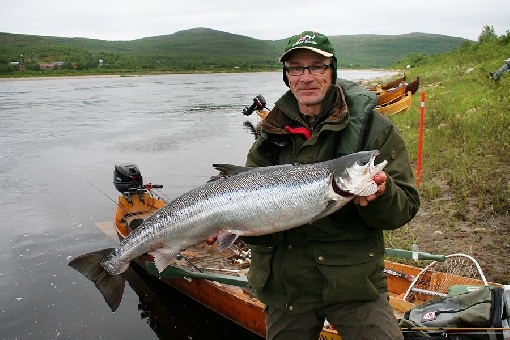 Lapland offers anglers diverse and pristine waters with good chances of making a catch. In Lapland, you can find the best salmon and grayling spots in Finland. 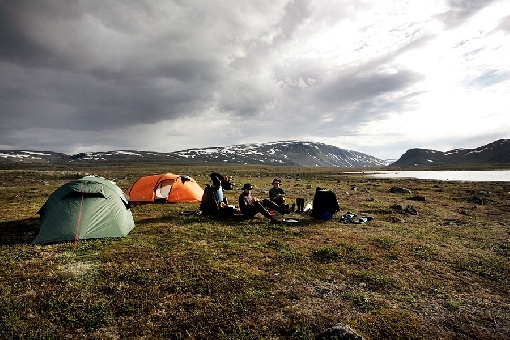 Lapland has white nights and open spaces with room to breathe. In winter, there is a metre of snow and the same amount of ice. Under the ice lie grayling, arctic char and trout, waiting there just for you. River Teno is the best salmon river in Europe, while River Tornionjoki is also among the top. Both offer chances of catching big fish. 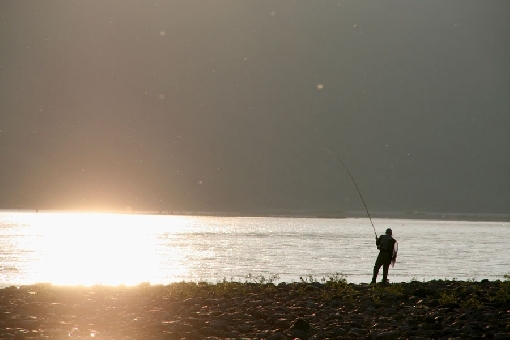 Anglers catch 15-to-25-kilo salmon every year. Salmon are also pursued in Rivers Simojoki and Näätämöjoki. A dry fly is floating with the current on a Lappish mountain river. The rod starts bending and a strong tail soon splashes at the surface. An angler has established contact with a wild grayling. 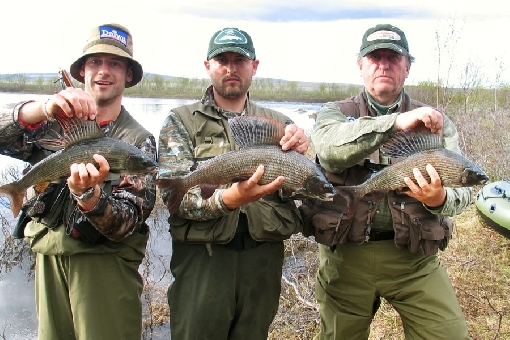 For anglers in search of grayling, Lapland is a genuine dream destination. Grayling is a common species here and grows to be exceptionally large in many waters: specimens weighing more than one kilo are not uncommon. The best sites are the River Torniojoki water body and its headwaters in particular. 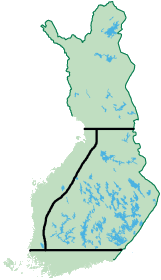 River Teno, Lake Inarijärvi and the waters of the Vätsäri and Kaldoaivi wilderness areas to the north of the lake are first-rate grayling sites. 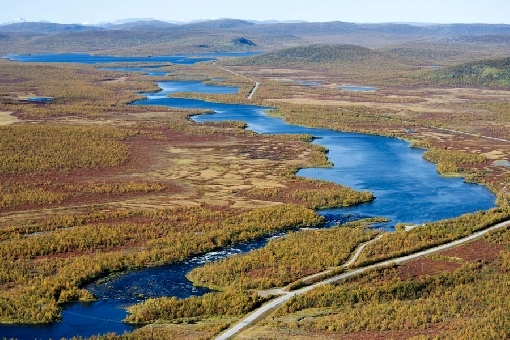 Lake Inarijärvi, the Vätsäri area and the rivers in the Kuusamo area offer chances of landing the angler's dream catch, a wild trout weighing several kilos. 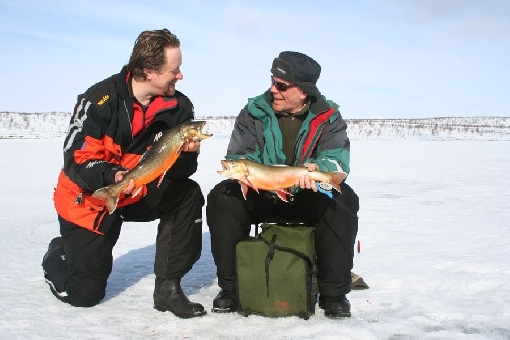 There are great sites for catching trout in different parts of Lapland. Big grayling from River Lätäseno. Lapland's speciality is the brightly-coloured arctic char, also spelt 'arctic charr'. Anglers in pursuit of arctic char head to Lake Inarijärvi or Lake Kilpisjärvi, or to the smaller waters of Mountain Lapland. There are plenty of great whitefish waters throughout Lapland. The species is a challenging one to catch. Fly-fishing tackle offers the best catches. Whitefish can be found in many small lakes and larger slow-flowing pools of river areas, which are also excellent spots to catch grayling. Don't forget, however, that you can also find unrivalled pike and perch waters in Lapland. Many wilderness lakes are home to big perch, with specimens weighing up to one kilo. Pike are also common in the waters of Southern and Central Lapland, but not many people go after this species here. In fact, pike is known as the 'bog dog' in Lapland. It is possible to catch big pike from small ponds that may look quite insignificant. Among the major lakes, Porttipahta and Kemijärvi are examples of dream spots for pike anglers. There are also plenty of splendid lakes for fishing these white-fleshed fish in the Kuusamo area. Ice-fishing for arctic char on a Kaldoaivi wilderness lake in Utsjoki. Lappish sceneries have the rugged beauty of the wilderness. 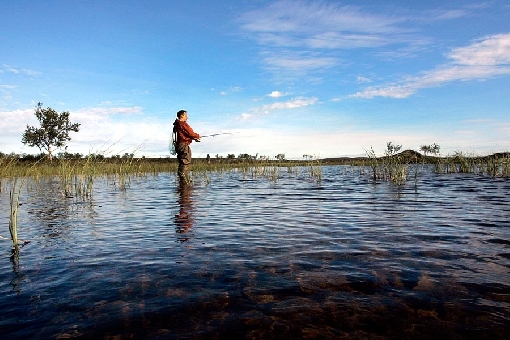 The region is sparsely populated and its waters have subsequently remained well-stocked. There are many fishing sites where you can fish in total peace; in the wilderness, it may be days before you see another soul. 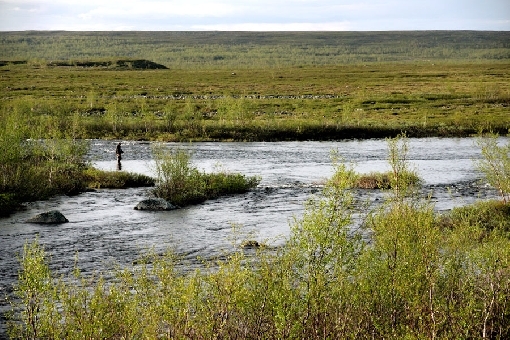 As a counterbalance to wilderness areas, there are also numerous easily accessible fishing waters in Lapland. Lapland's seasons are characterised by the variety of colours and contrasts. In summer, the sun keeps shining through the white nights, but it won't show its face at all during the midwinter months. The forests tinted with bright colours in autumn and the radiant light of snowdrifts in late winter lure hikers and anglers to the region. In winter, this land of Santa Claus is commonly covered in metre-deep snow and the winter landscapes are truly beyond compare. On autumn and winter nights, anglers can admire the display of the Northern lights by the campfire. When the summer is already in full bloom in Southern Finland, the spring fishing season is still underway in Mountain Lapland. You may even be able to go ice-fishing as late as in June. When planning a trip to Lapland in summertime, you should bring mosquito repellent with you, as the amount of mosquitoes may be considerable from time to time. Make sure you have at least a couple of bottles with you. You may face extreme weather phenomena in Lapland. In winter, anglers need to prepare for the cold. Proper gear includes warm clothing and an ice auger with an extension arm, as there may be more than a metre of ice in places. The North Pole is only a couple of thousand kilometres away and the temperature in Lapland may drop to zero even in summer. You should therefore always pack warm clothing. Then again, when a heat wave chances upon Utsjoki, this northernmost municipality in Finland is the warmest place in the country and the water in River Teno is warm enough for swimming. There is room in Lapland.